Old school Chinese with Suziewong - CHOMP! SLURRP! BURP! At a time when innumerable number of Asian and Pan Asian outlets mushrooming across town, Suziewong brings to you familiar Old School tastes of Chinese and Thai classics. A small cosy restaurant done up with classic red walls, Chinese paper lanterns and dragons adorning the walls. 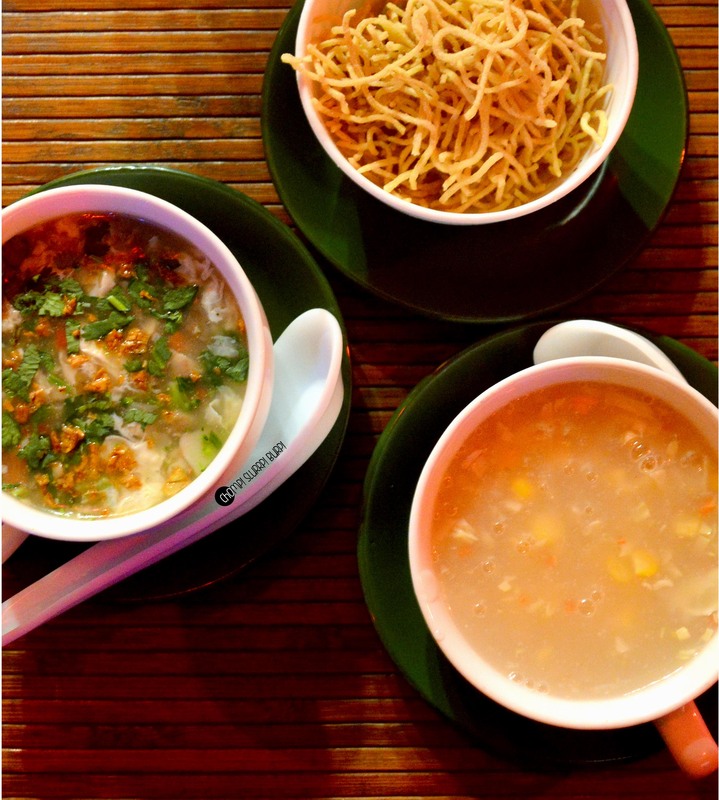 We started with soups – sweet corn and chicken manchow. The broths were both tantalizing and flavorsome – the sweet corn with subtle flavors and a tinge of sweetness and Manchow soup with a high on garlic addictive flavor topped with crispy noodles. Basil leaf chicken – juicy chicken pieces infused with basil flavor to the very core of the meat pieces, tossed with bell pepper and fresh basil leaves. The chilly fish dry – at first the fish excels with its freshness but a being a tad less chilly makes it lose its stature. 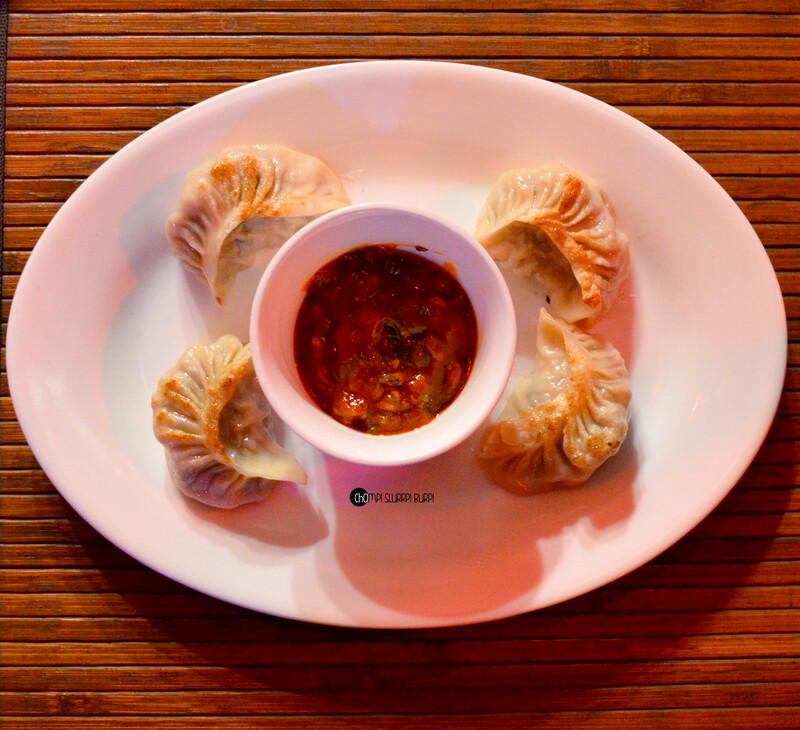 Chicken gyoza – refined flour dumplings generously stuffed with minced flavorsome chicken and pan-fried to a sticky crunchy texture. Served with a fresh chilly dip, dunk in the fresh gyoza. PS – this is a smaller portion. 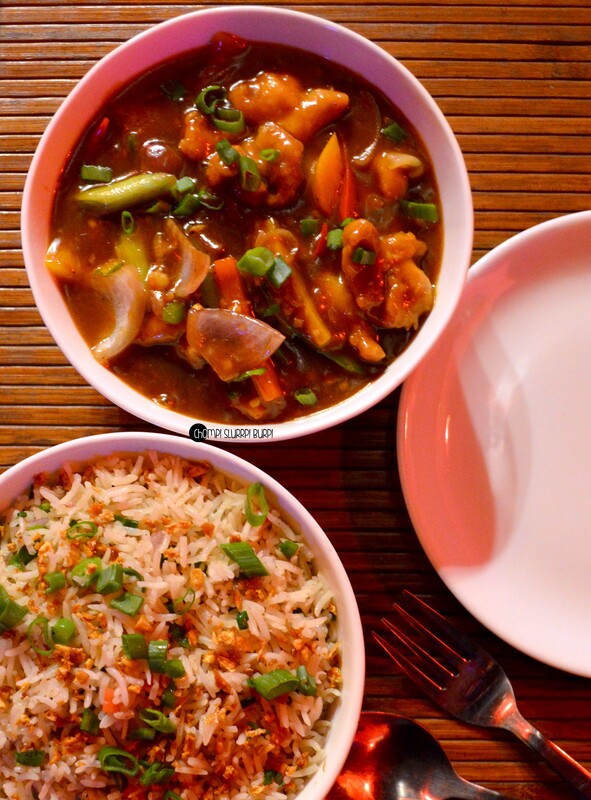 For the mains we tried their burnt garlic fried rice and chicken in oyester sauce. The vegetables in the fried rice were chopped in a rather chunky pulao like manner but the heavy burnt garlic flavor made up for that. The chicken in oyster sauce was good enough with crunchy greens and topped with spring onions. Order from Suziewong for their soups, basil leaf chicken and dimsums.